Free shipping (standard) in Canada and the United States for all orders over $100.One deluxe sample of your choice with each purchase under $50 and two deluxe samples of your choice with each purchase over $50. Can you remember the first time you went beauty shopping? It was probably with your mother. Most of us can recall staring up at heavily rouged women with big hair behind glowing counters, systematically rotating between brushes and creams and powders that could solve anything but global hunger. It all seemed so elegant and effervescent. Your mother likely always bought the brands she already knew. How the world has changed. Today, it is the daughters leading the mothers around the store, espousing the benefits of an eco-conscious label that did not exist six months ago. Thanks to a digital deluge of indie labels and influencers, beauty brands are having to rethink how they differentiate themselves and attract attention. We think it is about time. For luxury brands, the new paradigm necessitates creating value in values. Over three quarters of Millennials are willing to pay more for sustainable products. And it’s not a generational thing; the same study found over half of Baby Boomers will do the same, up seven percent over the year before. The market is changing because we are changing: today’s woman wants brands of uncompromising quality that do not compromise on her convictions. Those who do luxury have to do good. That means no ingredients, packaging or manufacturing practices that could harm people or their families, the environment or involve testing on animals. That purpose is translating into purchases: the global demand for organic personal care items is expected to reach $13.2 billion by 2018. Similarly, searches for vegan beauty products went up by 83 percent last year. With such surging demand, conscious cosmetics now come in so many different names it is hard to keep up, including green beauty, organic beauty, natural beauty, vegan beauty—the list goes on. At Cūrata, we like to keep it simple with Sustainable Luxury. The sustainable luxury movement is much larger than beauty, spanning fashion to food to fuel. Surprisingly, many high-end clothing brands have been slow to adopt sustainable practices or do only limited eco-conscious collections or collaborations. The problem with these standalone lines is they do not shift overall business practices and create real change. They are more trendy and transactional than transformational. That said, an increasing number of entirely sustainable luxury brands are beginning to show that the model can work. Take Stella McCartney. Not only is her self-titled luxury fashion brand one hundred percent sustainable, but it is making leaps in innovation and imagination. McCartney recently announced she will be using plastic waste gathered from the ocean instead of polyester in her shoes, accessories and outwear. Inspiring, right? We thought so, too. 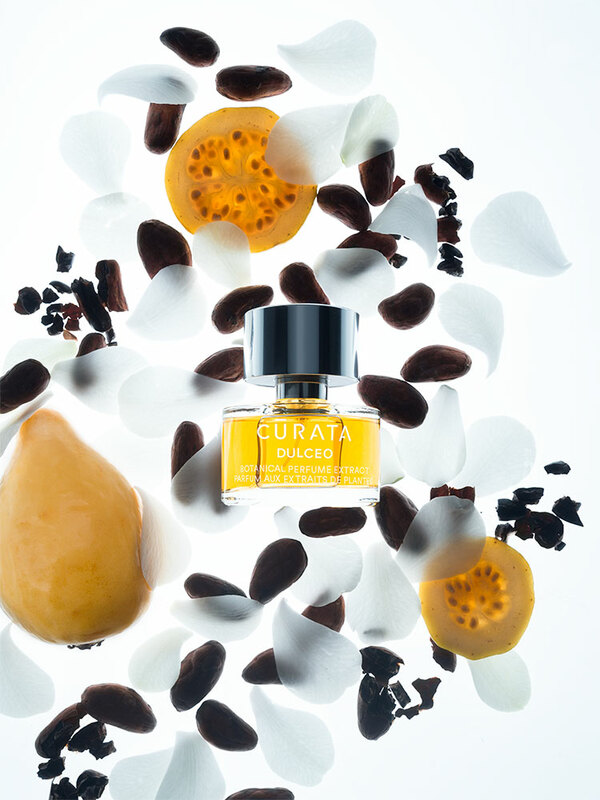 Cūrata is not a limited line or collection—we are committed to clean beauty and botanical perfumery. Sustainable luxury is part of our DNA and the baseline of everything we do. Being high-end means we must hold ourselves to an even higher standard. What we do is luxury. And every time you have an experience with Cūrata, it should feel exceptional and exclusive—because it is. The opposite of mass production, we hand blend all our products in small batches in Montréal. The benefit of being a new brand is that we have had the opportunity to integrate sustainable luxury into everything we do, from manufacturing to marketing. We worked closely with a chemist and botanical perfumer to ensure our products are made only with natural, sustainably sourced ingredients. They are biodegradable, non-toxic and cruelty-free, and are safe for you and the planet. You do not have to take our word for it. As we mentioned in Chapter One, we have worked with leading certifiers like MADE SAFE™ to show our products are produced only with ingredients that do not harm human health, animals or ecosystems. We also sought out PETA’s Beauty Without Bunnies stamp of approval to let the world know our line is never tested on animals and all our ingredients are certified cruelty-free. Luxury is an investment—for both us and you. Like any relationship, the one between Cūrata and yourself is built on trust, transparency and truth. If we are telling you we are sustainable luxury, we must be authentic about it. Want to stay updated on everything Cūrata?